Vysoce kvalitní 10-bit analog na digital převodník pro HDTV. HD10A umožňuje přidat HD-SDI výstup pro kamery, počítače s HD RGB, videorecordéry, nebo jiná analogová HD zařízení. HD10A je kompatibilní s RGB nebo YPbPr analogovým HD signálem a disponuje třemi HD-SDI výstupy. Pracuje v 1080/1035i a 720p s interní nebo externí synchronizací (tri-level). HD10A Plus verze přidává podporu SD (PAL i NTSC). 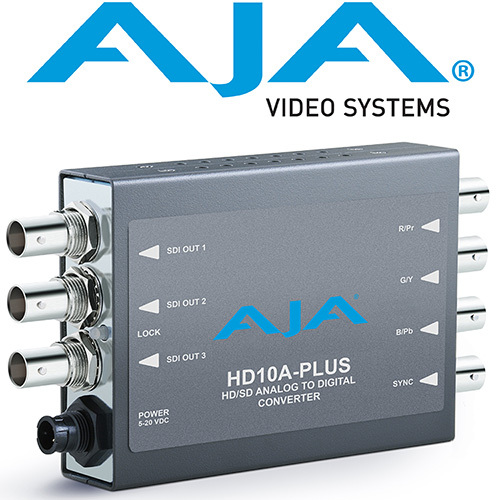 The HD10A-Plus is a miniature, high-quality, 10-bit analog to digital converter for HD workflows. The HD10A-Plus can add an HD or SD SDI output to cameras, VTRs, or other analog-only equipment, even computers with HD RGB graphics. 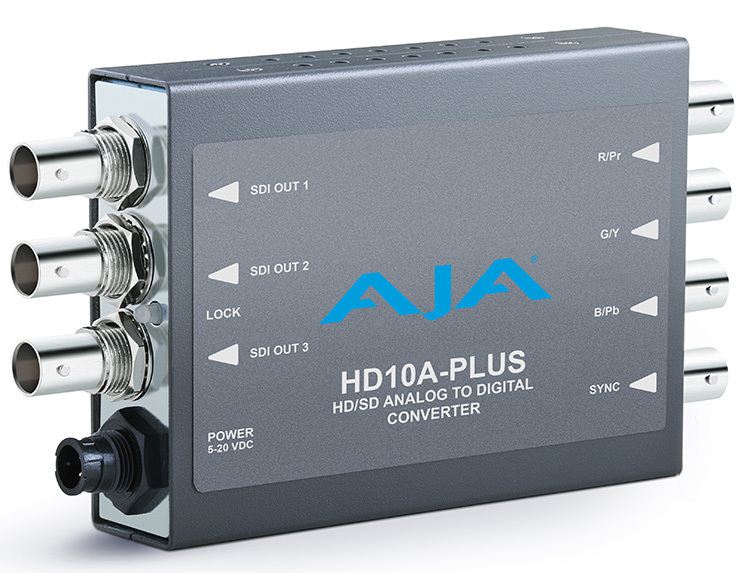 The HD10A-Plus accepts HD YPbPr or RGB analog and outputs three duplicate SDI signals. Works in 1080i, 1035i, 1080psf, and 720p with internal or external sync (tri-level). The HD10A-Plus also includes SD mode support for PAL and NTSC needs.